My family's trip to China was in December 2012 after I finished the school year. We went there by flight via AirAsia which is a 4 hours flight. I don't quite remember this trip from A to Z as it was like 4 years ago and it was just only a one week stay at the land of China. From Malaysia , we landed in Guangzhou and stayed there for 4 days If i am not mistaken. Second day in Guangzhou , we went to a huge theater to see a cultural show and it was hell of a good show. The stage itself costs around 1 million dollars and the show was just breathtaking. Eventhough we had to sit on the frozen seat outdoors with a temperature of negative celcius , we enjoyed the show, well mostly me and brother because both of my parents just can't stand the subzero temperature. There was fireworks , haze , shooting lights , lasers , real life volcanoes and numerous more modern stage props. The performers themselves were superb and did a great job in summing up the culture of China in a two hour show. The next day , we travelled by van to Shenzhen (a bigger city than Guangzhou) which was a two hours trip . In Shenzhen I could not remember what we did but I remembered the big finale. 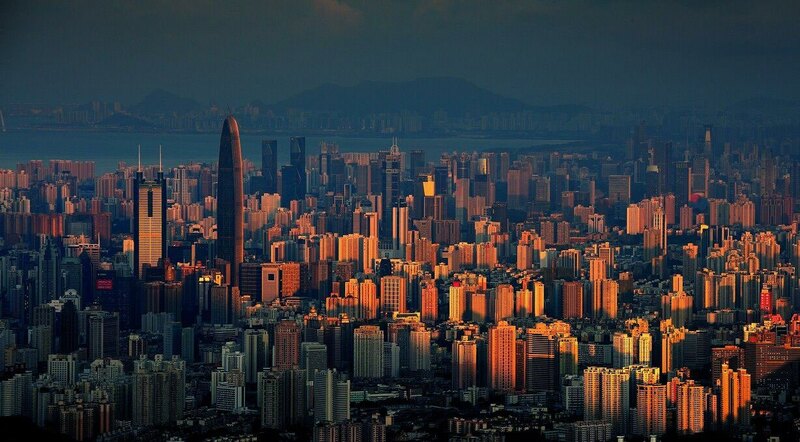 We went on a river cruise and witnessed the spectacular Shenzhen tower which transitions its colors every minute. We took hundreds of pictures of the tower to commemorate its uniqueness. After a week staying in China , it's time for my family and I to head back home. It was a pleasurable experience especially when I got the chance to experience how Chinese live out their lives everyday.